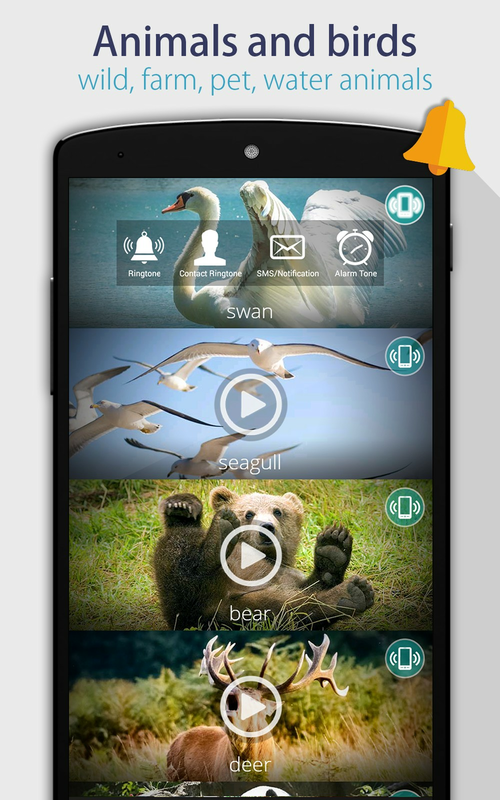 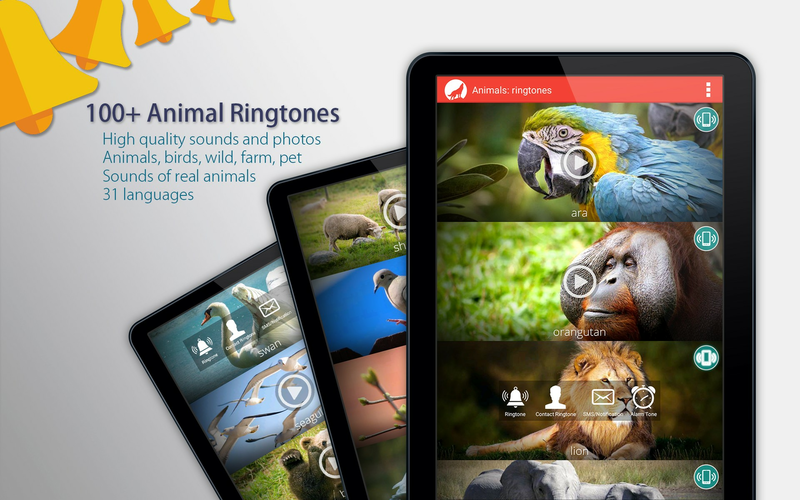 Free Ringtone, Notification or Alarm sounds with more then 100 HD animal sounds. 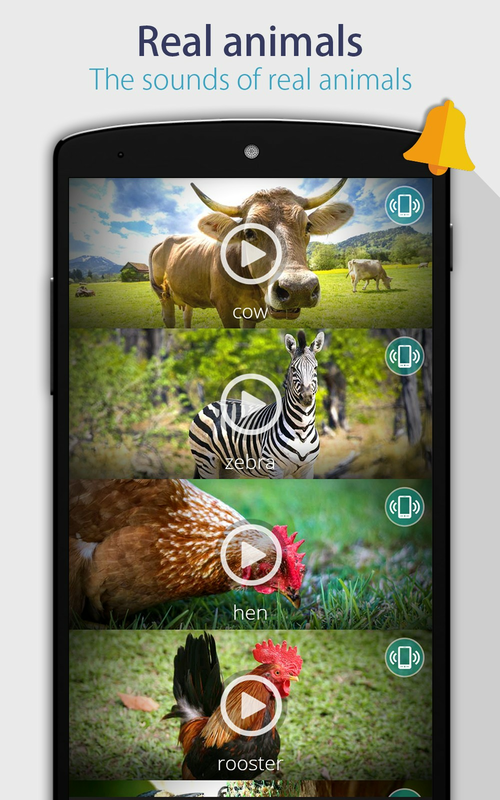 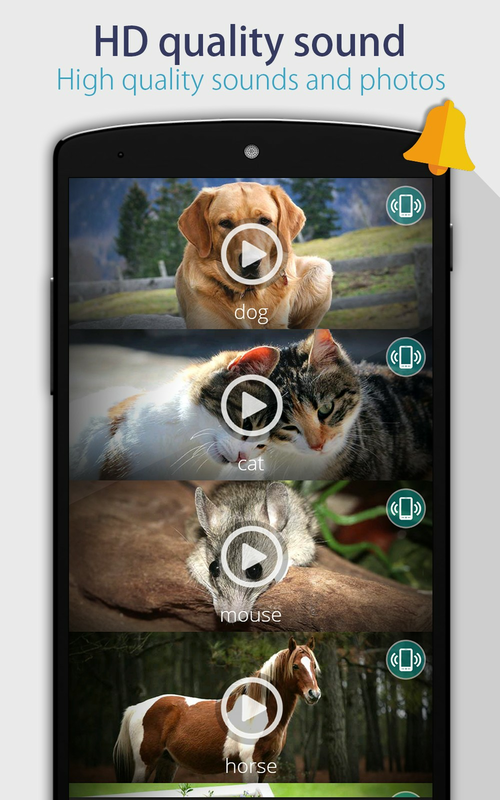 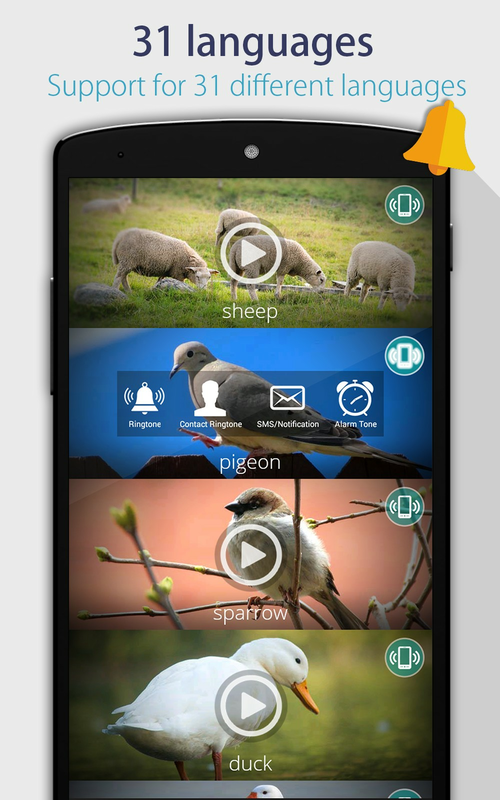 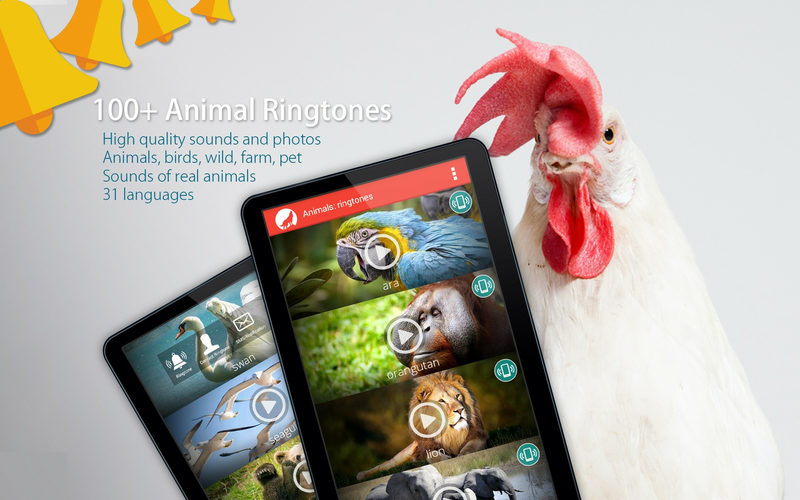 Animal sounds as free ringtones for your phone. 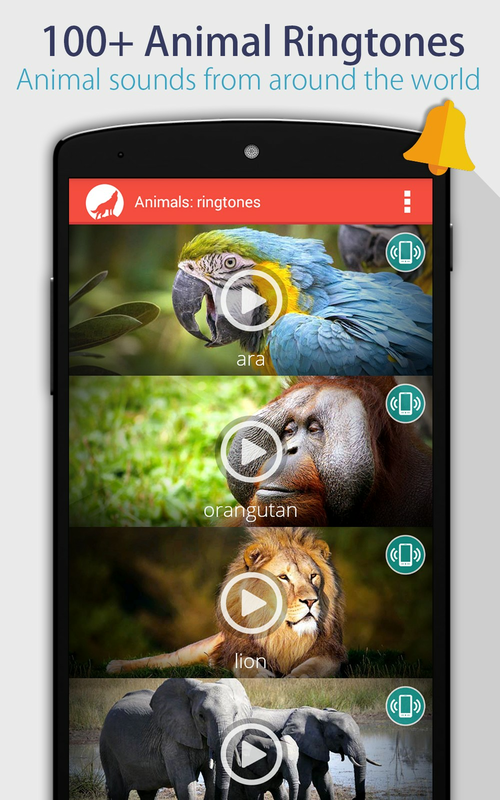 ● free ringtones for all phones and tablest (HTC, Samsung Galaxy, SONY Xperia).